Writing.ie | Guest Blog Posts | Is there a crime writer in you? Article by Louise Phillips © 24 November 2015. Is there a crime writer in you. If the answer is yes, you may like to think about doing a crime writing course. I’ll be doing one at the Irish Writers Centre in the Spring. Places book up fast and the last three courses were overbooked, so take the plunge if interested….Details below. During this ten-week course participants will learn the ‘how to’ of creating a gripping crime story, using tension, pace and effective dialogue, whilst developing great characters and a page-turning novel. There will be modules on police procedure and forensics, and you will also receive editorial critique tosharpen your fictional voice. A number of Louise’s students have achievedpublishing deals or are now signed with agents. 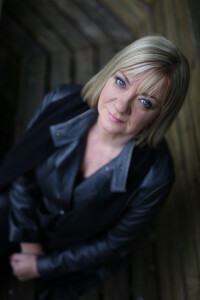 Louise Phillips is the author of four bestselling psychological crime thrillers all of which were nominated for the Best Irish Crime Novel of the Year. Her second novel, The Doll’s House, won the award in 2013. The Game Changer, her latest novel, was published to critical acclaim in 2015.